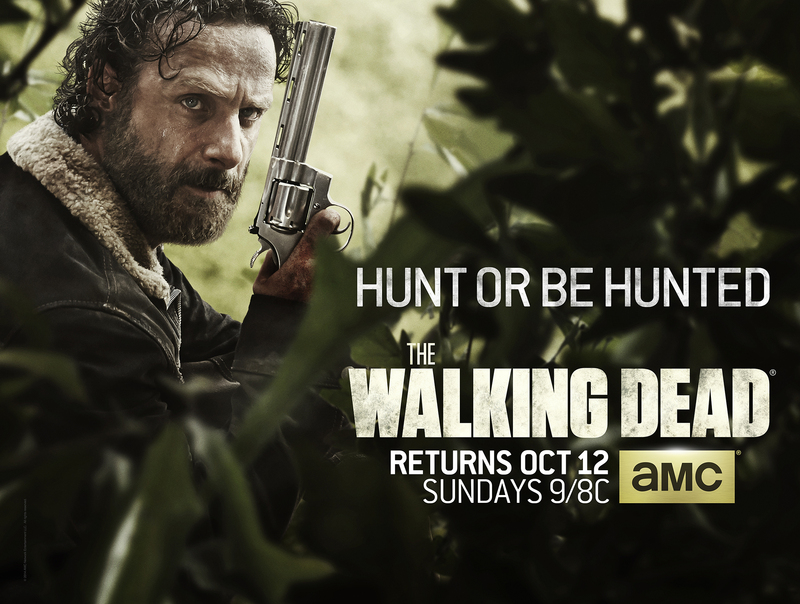 Season 5 of The Walking Dead premieres this Sunday, October 12, at 9 p.m. on AMC, when we’ll finally be getting a better picture of Terminus and what is happening to the whole gang. Since the season finale in March, we’ve seen Danai Gurira at Awesome Con and reviewed The Walking Dead Survival Kit. More recent news has also discussed Daryl Dixon’s mysterious sexuality (Kirkman says they have discussed it and that it may one day be revealed, Reedus himself talked about where Frank Darabont would have taken Dixon’s sexuality – into ‘prison gay’ territory) and the character descriptions for The Walking Dead spin-off/companion series. The survivors settled into the prison nicely, taking in some of The Governor’s people, with Daryl primarily bringing new people in and Rick pretending he’s going to be a farmer. The season premiere brought us Karen (Tyreese’s girlfriend), Patrick (some young kid), and Zach (Beth’s boyfriend) – all of whom you should not get attached to (even though we were so attached to Kyle Gallner). Bob Stookey is introduced in the season premiere and he has survived so far! Some kind of sickness spread through the prison, with Patrick coughing all over the water supply and ultimately turning inside the walls. They had to put down some of their own and Carol ended up adopting Lizzie and Mika after their dad has to be ‘taken care of.’ It was a damning wake-up call for Rick. Tyreese found Karen and another man murdered and burned after the incident, but that didn’t stop the sickness from spreading. Glenn and Sasha start showing signs of being sick and Daryl, Bob, and Michonne went on a run for medicine. Carol also fessed up to Rick that she was the one who killed Karen in a failed attempt to keep the sickness contained. Rick and Carol had to go out for medical supplies because Daryl’s group was taking too long and Rick takes the opportunity to excuse Carol from the group for her actions. She left in a car and he returned to the prison without her. Hershel was doing his best inside the prison to take care of people, giving them tea and ‘retiring’ the people who passed on. They’re suffering from walkerss both inside and outside of the fences, getting attacked on all sides as their own come back from the dead and there aren’t enough healthy people to tend to the walker build-up along the fences. We also got a Governor-centric episode this season, Live Bait, in which we see how he’s completely broken down after Woodbury. 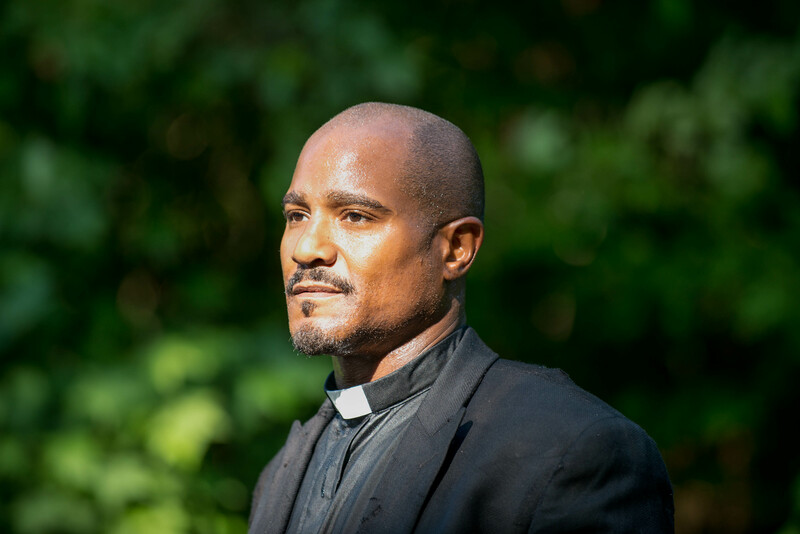 His last two henchmen, Shumpert and Martinez, abandoned him before he burned Woodbury to the ground. He wandered recklessly until he meeting Lily, her daughter, Megan, her sister, Tara, and their father. He gained something of a family and we get… are those… maybe some sympathetic feelings for the dear old Gov? No? Just me? Unfortunately, those feelings don’t last long. The Governor, or Brian, as he started calling himself, hooked back up with Martinez and his new group and suddenly he’s back in murder-mode. He also stumbled across Michonne and Hershel in the woods, taking them hostage at gunpoint. At least he didn’t kill them? …Immediately, anyway. With the disagreements and infighting that was happening at the prison, the last thing they needed was a showdown with The Governor’s new group. Sadly, we said goodbye to Hershel as he was violently beheaded by The Governor before both groups clashed. Michonne stabbed The Gov for all that he did to her, but left him there and Lily, after losing her daughter, finished the job. In the chaos, the group splintered as they all abandon the now-ruined prison. The first group of survivors we checked in with were Rick and Carl, with Rick still injured from the fight and Carl doing most of the scavenging to keep them alive. Michonne was also seen, regressing to the person she was before she found Rick’s group, though she ultimately chooses to reunite with them when she does stumble upon them. Time gets a little wonky as we saw hints of the rest of the survivors crossing paths, but not meeting back up. Beth and Daryl teamed up, Tyreese, Judith, Mika, and Lizzie found Carol! Yay! And Sasha, Bob, and Maggie grouped together, but Maggie immediately struggled without knowing Glenn’s fate. He was alive, thankfully, along with Tara (the only surviving member of the Governor’s group?) and they managed to find Abraham. While Michonne and Carl were out scavenging a creepy house, Rick dealt with a violent group of men who try to claim the house they’re staying in. They managed to escape and decide to head towards Terminus, after seeing signs for sanctuary. The aforementioned Abraham clued Glenn and Tara in on his mission – he has to take Eugene to Washington DC because he may be able to solve the save the human race. So no, they couldn’t go running around looking for Maggie (but spoiler alert: they do). Beth and Daryl share some kumbaya moments while she worked through her teenaged angst and hunted down some alcohol. We also got a peek into Daryl’s back story and how he grew up. It’s about as bleak as you’re picturing. They made some headway and bonded (and spawned new shippers in a single episode). Maggie, Bob, and Sasha all decided to head towards Terminus as well, with Maggie sure that Glenn would go there if he survived, but she left him notes anyway. Showrunners giveth Beth and Daryl and showrunners taketh away Beth and Daryl when she’s kidnapped and Daryl joins up with the group that almost murdered Rick. 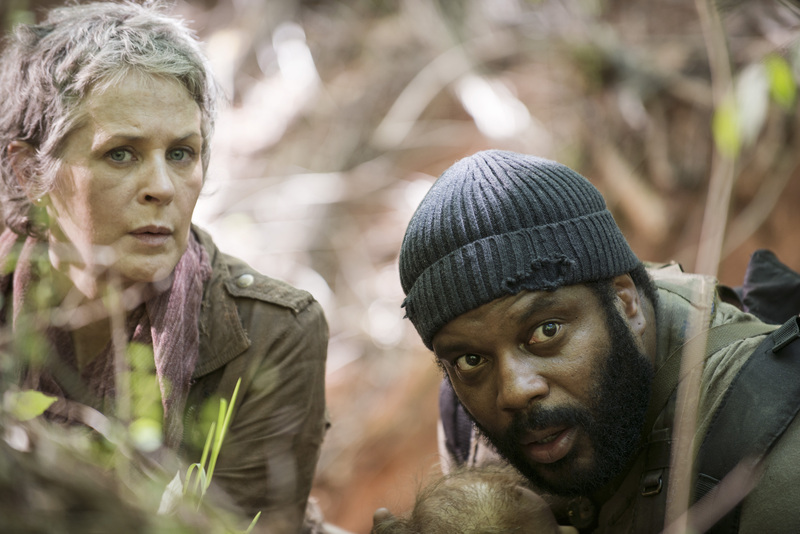 We finally learned who was mutilating animals all season when Lizzie showed Tyreese and Carol her crazy obsession with walkers. She killed her sister and Carol was forced to kill her because they didn’t know what else to do with her… After burying the two girls, they headed towards Terminus and the whole group was gonna be reunited as they all went in the same direction! 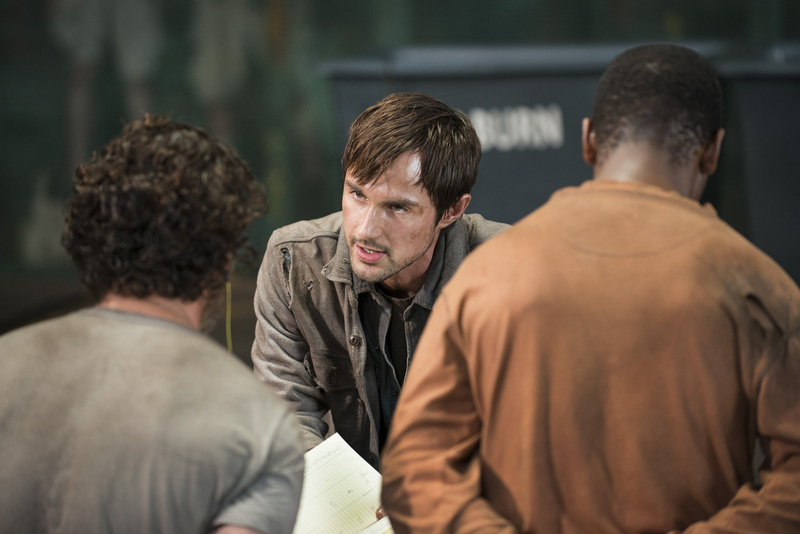 Daryl learned the rules of his new group, which were brutal and pragmatic, while Glenn continues on his quest to get to Maggie. They finally find each other and Maggie’s group, as well as Glenn’s, head to Terminus together. They’re welcomed by Mary, who calmly offers them a plate of food. 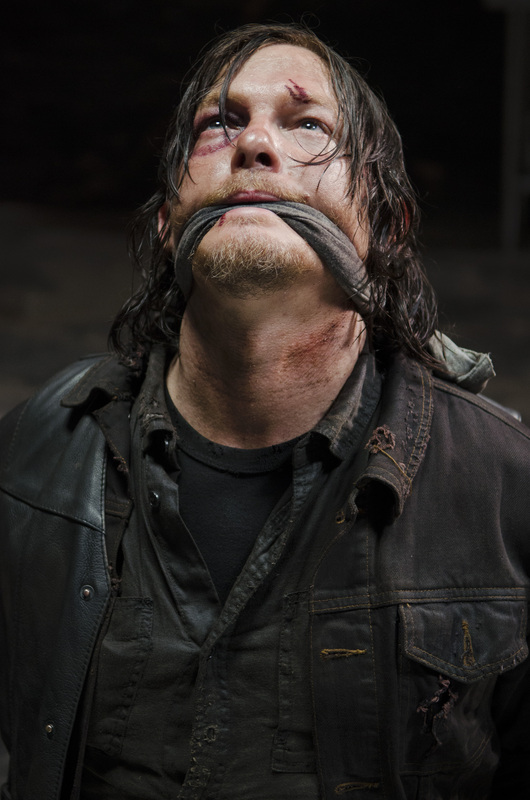 Rick’s group is harassed by Daryl’s group, where Rick ends up ripping a man’s throat out with his teeth – something iconic to the comic books. At least they got Daryl back? And then, by the time Rick’s group got to Terminus, there were no signs of any of their friends. They took the back entrance, quickly realized there was something not quite right, and run. Unfortunately, they’re caught and herded into a train car – where everyone else is! No one knows what’s going on, or where Carol and Tyreese are (or Beth), but all signs point to Terminus and this crazy cannibal cult! Season five should pick up right here when it opens and we’ll see how the group manages to get out of this one – and if all of them get out alive!